Today, I received word that my two missing bags had arrived to Islamabad Airport, but that they weren’t being released to the agency. I wrote an email giving permission for the baggage agency to release them to Muhammad Ali, my representative in Islamabad, then had a leisurely breakfast out in the garden of the hotel. 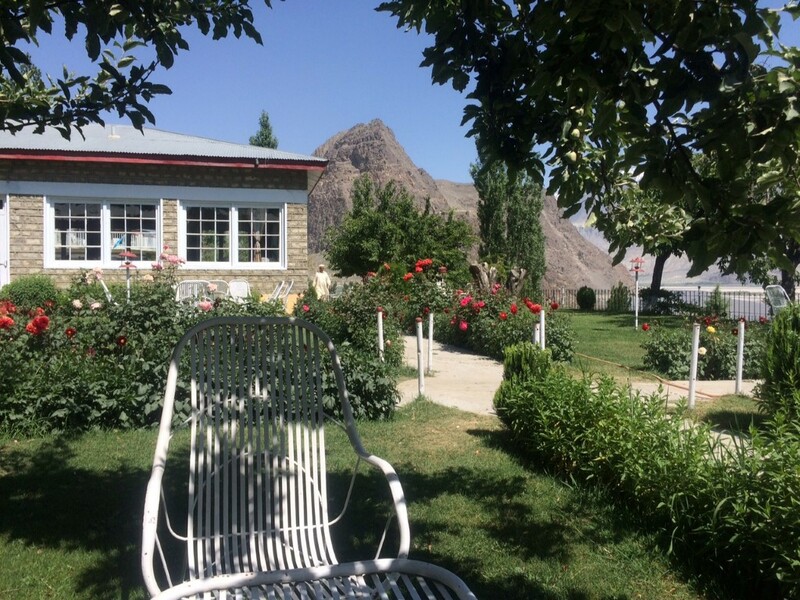 I spent the morning enjoying what I knew would be the last of the good weather here in Skardu and read my favorite book. I was joined in the late morning by Yannick Graziani (France) and a Czech climber and spoke a bit with Jon Griffith and his team who are attempting to climb Link Sar (7041m), an unclimbed peak here in Pakistan. 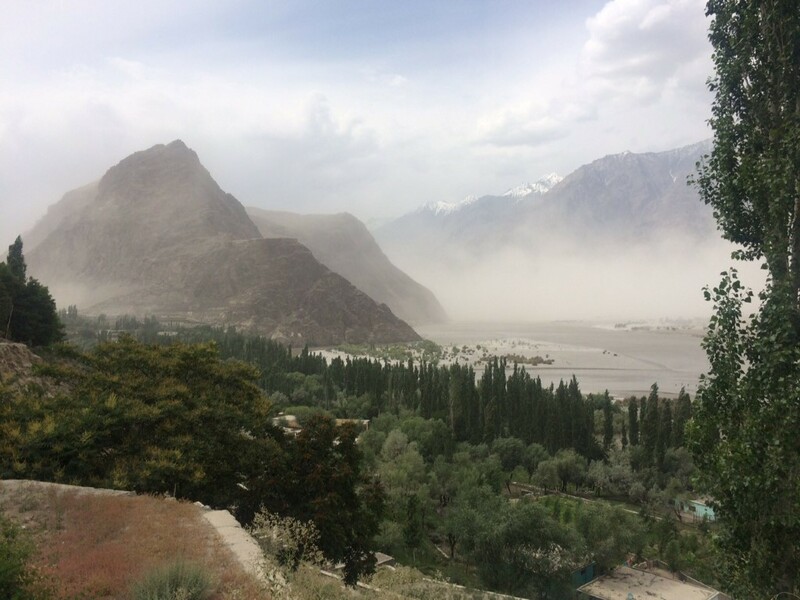 As we were catching up, we noticed a huge cloud of dust blowing in from the valley, which quickly enveloped the area and made going outside impossible. After lunch, Manzoor and Akbar (my cook from last year) arrived from Islamabad and informed me that the bags had been released and were on their way by road to Skardu. We had dinner at Dewanekhas in Skardu and got an early night.